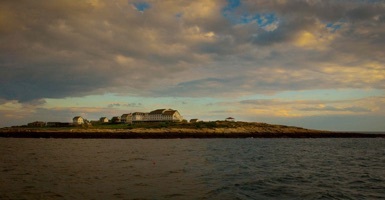 Above: Star Island from the Boat, photo by Georges Nashan. ‣Archival Pages: About Past Weekends, Previous Staff, etc. For more information about these pages and links to the various archival and photo pages, look below on the left. The following are the attachments from last year’s Welcome letter. While some details will differ, this should give you a good idea of what the weekend is like. Welcome to the Archives of the Star Hampshire Traditional Music & Dance Weekend Web Site. 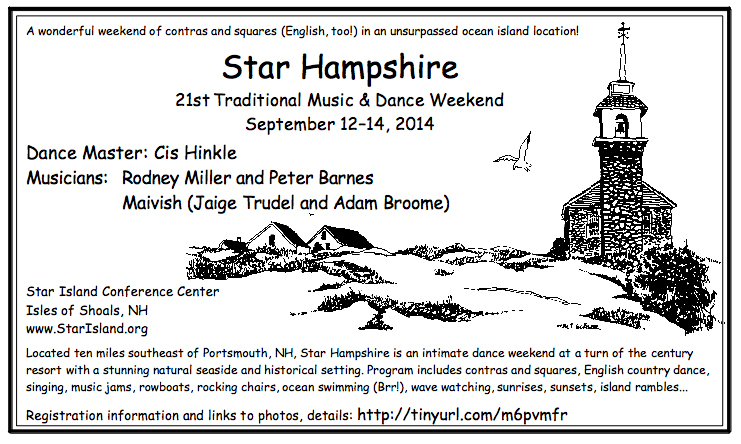 ★Star Hampshire flyer, 2014. Download in jpg format . Dancing Master: Cis Hinkle - Contras & squares. ★Peter Barnes & Rodney Miller. ★Maivish: Adam Broome & Jaige Trudel. Staff Information: Click on the link for information about the staff and for photos. Staff Information. Here is some information about the staff courtesy of David Millstone. 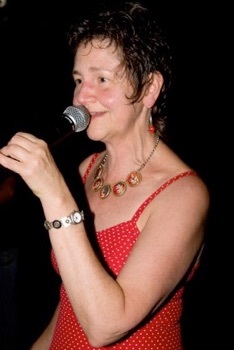 Cis Hinkle has delighted contra and square dancers since 1985 with her skilled teaching, welcoming manner, playful enthusiasm, and masterful selection of dances. For many years, she was the program coordinator for Dance Week at the Augusta Heritage Center in West Virginia. She is in great demand at music and dance festivals all over the US, England, and Denmark. When not on the road, Cis teaches t'ai chi classes in her native Atlanta, Georgia. 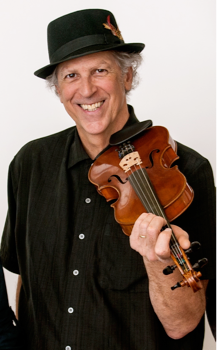 Rodney Miller was designated a "Master Fiddler" in 1983 by the National Endowment for the Arts. He is widely considered to be the foremost exponent of New England style fiddling, a uniquely American blend of French Canadian and Celtic influences. Over the past 35 years, he has toured the U.S., British Isles, Australia and Denmark, performed and taught at hundreds of music and dance festivals, and recorded over ten fiddle albums. As well as guest fiddling with the band, Notorious, and playing with the contradance bands Stringrays, Blue Ribbon Dance Band and the Rhythm Raptors, Rodney has just released a new fiddle cd called 'Stringrays'. In 1999, Rodney represented the state of New Hampshire, playing traditional fiddle music at the Smithsonian Folklife Festival in Washington, D.C. He has also appeared on Garrison Keillor’s National Public Radio show "A Prairie Home Companion," performed live with the Twyla Tharp Modern Dance Company, performed at the Lincoln Center in New York, and was recorded on the album Songs and Sounds of the Sea for the National Geographic Society. Rodney has been employed by Stamell Stringed Instruments in Amherst, Ma. since 1990, handcrafting fine violins, violas and cellos. 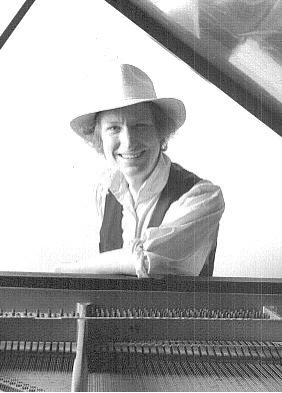 Peter Barnes has been playing piano, flute and assorted other instruments for traditional dancing since 1971, and has been invited to most major contra, square, British Isles and vintage dance events throughout the United States, performing for dances and concerts, leading ensemble workshops, and generally acting in a crazy and often undignified manner. Averaging over 250 engagements per year since 1980 he is arguably one of Boston's busiest musicians, and has also played for festivals and tours in England, France, Denmark, Shetland, Scotland and Czechoslovakia. He works with the bands The Latter-Day Lizards, Bare Necessities, Big Bandemonium, Dark Carnival, Crazy Quilt, and The Dactyls and has performed with many traditional greats including Seamus Connolly, Joe Derrane, Cathie Ryan, Chris Norman, Alasdair Fraser, Rodney Miller, and Joe Cormier. Publications include two volumes of English Country Dance Tunes (in print and electronic), the standard collections of English traditional dance music, A Little Couple Dancemusik, a collection of 400 traditional couple dance tunes, and Interview With A Vamper, an instruction book of piano techniques. Maivish (Adam Broome and Jaige Trudel) draws inspiration from traditional sources, reinterpreting the old and contributing to the new with their hypnotic and scintillating melodies and grooves. 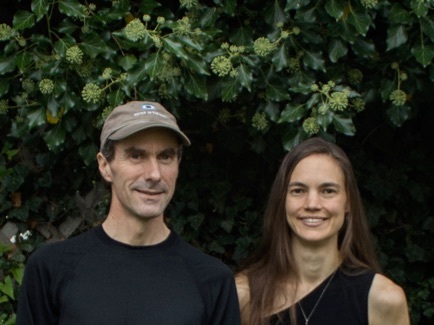 At its core, the group is a collaboration between American fiddler Jaige Trudel and British born guitarist Adam Broome who have been playing music together since 2001 for dances, festivals and concerts throughout North America and abroad, predominantly with the band Crowfoot. The name Maivish comes from an English colloquial term for the Song Thrush. Registration is in progress. You can register online or by mail. Register online via the Star Island Corporation (SIC) website. To register by mail, print and complete this form and mail with $190 per person deposit check (made out to Star Island Corporation) to Star Island, Morton Benedict House, 30 Middle St, Portsmouth, NH 03801. The ferry departs Portsmouth at 2:55 pm on Friday, 9/12. On Sunday 9/14, it departs Star Island at 3:05 pm and returns to Portsmouth at 4:45pm. If you’re new to Star Hampshire and want to know more about what to expect, visit the SIC site or see last year’s Welcome Letter. If you have questions after looking through these resources, contact the registrar. Weekend cost is “per person” and varies by room type. Extra costs include optional Lobster ($16/crustacean), mainland Parking ($24/vehicle), and any treats from the snack bar, gift shop, or bookstore. You may request a specific roommate. Most rooms have shared bath; “motel” rooms have an en suite toilet. This is primarily an adult weekend, but some children/teens have attended in the past. Contact registrar for info on youth rates. Star Island Corporation no longer offers the 10/10 discount program for bringing a new shoaler to the weekend. SIC does have other Discounts and limited Financial Aid. Click links or see SIC website. Check out our Facebook Page! Information, updates, photos, comments contributed by people who attend and love this weekend. 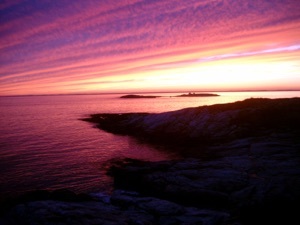 An Amazing Sunset on Star Island, photo by Patrick. Star Hampshire schedule 2013. Last year’s schedule should give you a good idea of what to expect in the way of programmed activities. There are more gaps than you might expect, but it’s such a wonderful place to be that you’ll want those gaps. Star Hampshire Archival Pages: 2007 2009 2010 2011 2012. These are recreations of the original web pages of the 2007, 2009, 2010 & 2011 Weekends for reasons of enjoyment, curiosity, and historical interest.